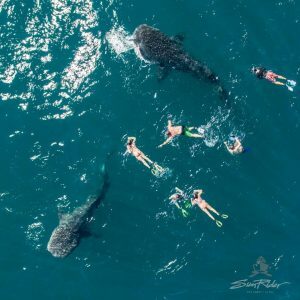 Start 2019 by getting to know some of the friendliest residents in the sea! 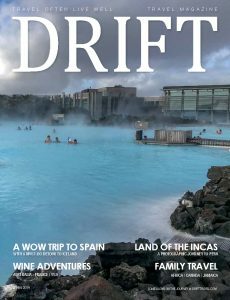 January marks the beginning of a new year and a new whale watching season in La Paz. When the season opens, whale watchers in this area are treated to an especially unique experience – a chance to get close enough to touch the majestic mammals. 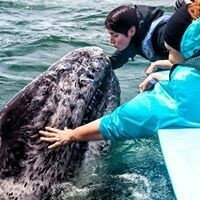 Grey whale calves are especially curious and have been known to nudge boats and playfully blow bubbles within arms reach of delighted travellers. Migrating whales can be found throughout the Sea of Cortez and the Pacific Ocean as they travel 20,000 miles south from the Bering Sea. The journey signals the mating and birthing season in the calm, warm waters along Baja California Sur. Grey whales, the most frequently seen species, begin to arrive in Magdalena Bay as early as mid-December, staying through to March. The Sea of Cortez is one of four natural protected areas around Baja California Sur. Known as “the Aquarium of the World,” the area is home to 5,000 different species. For whale watchers, this means an abundance of aquatic animals including whales that can grow up to 50 feet in length and weight up to 30 tonnes. Because of this, whale watching is one of the most popular activities among visitors to the region, with daily excursions departing from Magdalena Bay starting in mid-January. Grey whales aren’t the only species of cetacean that can be found in the waters along the Baja Peninsula. Although grey whales are the first and most commonly seen of the migrating mammals, acrobatic humpback whales can be spotted in the southern waters closer to Los Cabos until late March. The grand finale of the migrating whale season is when blue whales travel down the Baja peninsula. These beautiful behemoths often swim alone deep under the water from January to early April looking for a mate. Sightings of blue whales are rare, but they are incredibly vocal as they serenade potential mates in the depths near Loreto, a four-hour drive north of La Paz. Of course, the absolute favourite “whale” in La Paz isn’t a whale at all – it’s a fish. 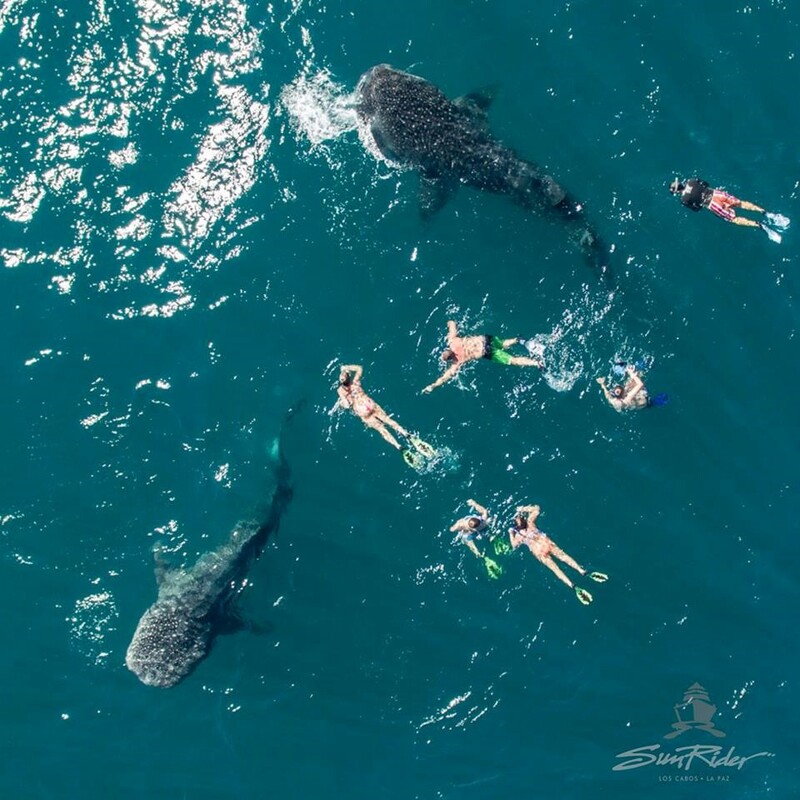 The whale shark, which is neither whale nor shark, can be found in the El Mogote peninsula only 15 minutes from the Bay of La Paz, starting in October. Many of La Paz’s accredited operators offer snorkeling trips out to the sandbar area for a chance to swim alongside these friendly fish. With a new year on the horizon, begin 2019 with a new experience and memories that will last forever.